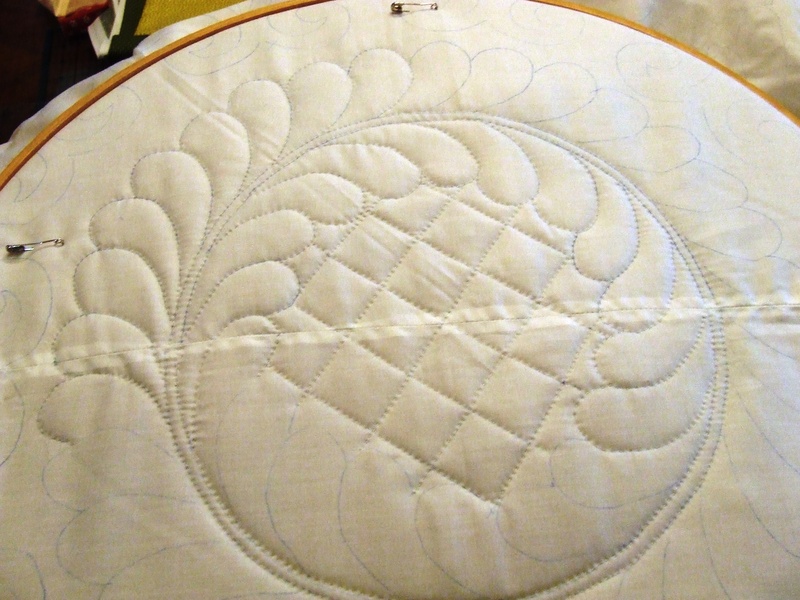 This entry was posted in Quilts and tagged hand quilting, piecing video, Quilting, Quilts. 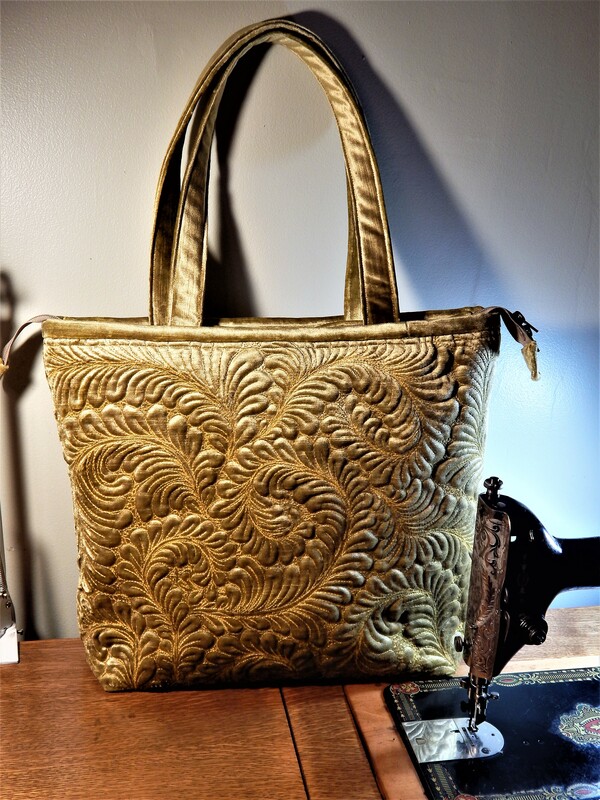 I LOVE hearing that treadle machine! Makes me anxious to get mine up and running. (I have been refurbishing the cabinet.) A Model 66 goes in it. I also have an 1880’s Davis treadle, but I’ve been lazy about cleaning it and figuring out how to load the bullet shuttle bobbin. I have recently found you and you post. I smile when I see your name come up in email. I love your work. I am so following every step of your new quilt . You are so gifted. Morning Tim and Teddy and a big Hi from Sunny FNQLD. Where the birds are rushing around and building nests and the trees are all in full flower it looks beautiful. Tim that design looks so exciting, can not wait till tomorrow morning! LOL. Happy sewing. Cheers Glenda Australia. 🙂 the trees are raining leaves here and it is almost the end of fall! 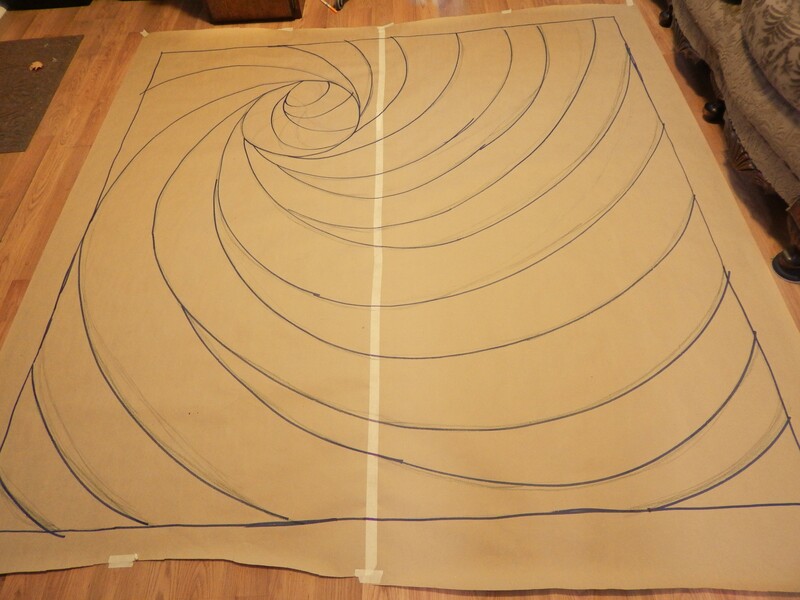 Thanks for the video on the start of this new quilt. I am impressed with all the parts that you need to coordinate – the convex and concave curves, the pinning and pucker-taming, and then you are using your legs to power the machine!!! Just love it! You do such wonderful work, whether by hand or machine. Thank you so much for sharing it with us. Love the new project Tim….you are amazingly creative! DH and I are watching the races this evening but had to check out your next beautiful quilt! Looks fantastic so far! Can’t wait to see your next blog! Always amazing! Ah ha! I get it now. Love the scrappy sections and colors. Your work is so wonderful, and so inspirational, Tim! 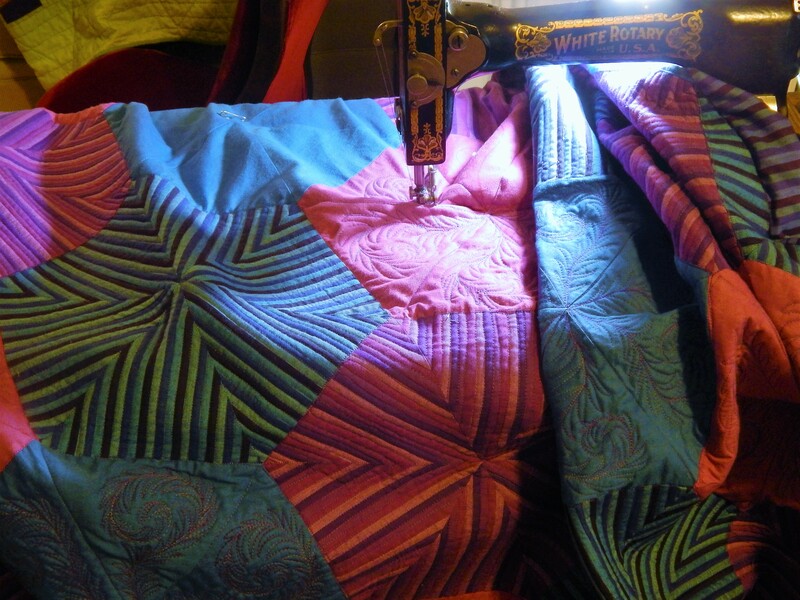 What better thing to do while watching returns than hand quilt? 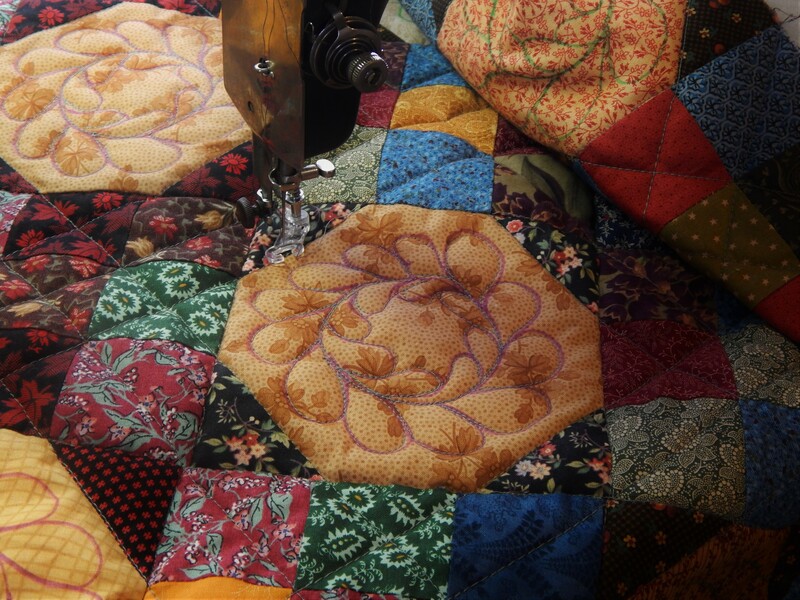 Actually, I think I will be hand piecing.. working on a forever Grandmother’s Flower Garden! Thanks for blogging! Beautiful work. Your posts always inspire me. Thank you. No matter what you are working on, it is fabulous! 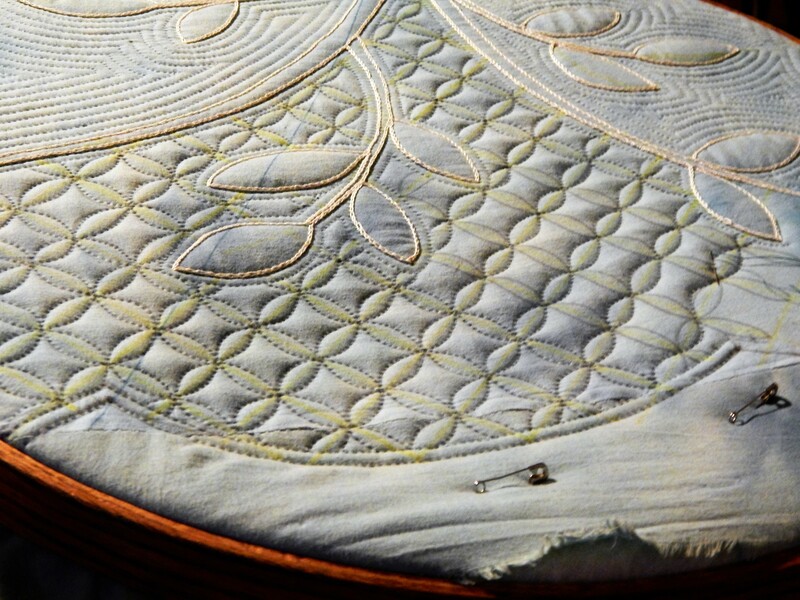 Thanks for keeping all aspects of quilting alive. So awesome! I need to stop by sometime and take a lesson. If Teddy doesn’t mind I will bring along MacDougal for company!